Did you get locked out of your house or car? Call our 24-hour lock smith Emergency Line and get back in fast. No one likes being locked out of their home. When you need an emergency locksmith, we have you covered. Whether you find yourself locked out of house, your business, or the car we can fix, repair or replace your locks so you get you back in quickly. We are a leading locksmith service provider in Perth covering all areas. Our emergency line is open 24/7, so just call one of our friendly customer service agents at any time of day or night. One of our professional locksmiths will arrive fast wherever you are to get your doors open and get you back on track. We are Perth’s leading locksmiths offering auto locksmith services, lock repairs, lost and stolen keys and commercial services. Are you Locked out of the house or office? You are running late so you grab your stuff, step out the door and pull it shut behind you. Then you realize you forgot the keys. You grab the handle, but the door is locked. Does this sound familiar? We have all been there, and being locked out is stressful, we know that. Every minute you have to wait is one too many. That’s why we have locksmiths standing by 24/7 to get you back inside right away. We unlock your home, office or rental property fast, so you can get on with your life. Call us now and we will have someone on the way over right away so that you can get back to your life. Are you Locked out of the car? Everyone knows one neighbor who swears that all you need is a long wire to get back in the car. The truth is many newer cars have security measures that are designed to break your door lock if not handled carefully. Why risk it when a trained professional is only a phone call away? Replacing a broken lock on a car is an expense and a hassle you don’t need. Call our emergency line and trust us get you back in. Did you Lose a key or Break the Lock? We only send you professional Perth locksmiths. If you are locked out of the house, car, or business because of lost keys or broken locks we have the solutions you need. We will cut you a new key or change your lock. Our experienced locksmiths will do whatever it takes to take care of your needs. Just one call to our hotline and a professional locksmith mobile service will be on the way to fix your problems and get you back inside. So what are you waiting for? A lockout can happen anytime, so we always have people waiting for your call. Our friendly Perth agents will get an on call locksmith out to you in an emergency any time of day or night. Our teams are standing by all day, every day to make sure that when you need us most to get you back into your home, car, or office we are there. Anytime you are locked out of house, office, or car- we are standing by. 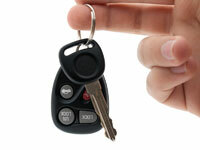 Don’t waste another minute if you have lost or stolen keys. Call our 24-hour hotline in any lock emergency and let us get you back to your life, fast.